Fishballs are probably one of my weaknesses; and definitely one of the rare few that I pick to eat and definitely enjoy, with every bite (or bounce). There need not be threats to make me eat a fishball, but you may get a threat from me if you try to take away a bowl of my favorite fishballs. Fishballs (or fish in general) are probably to me, like honey or nectar is to bees, in a way. It is not hard to find fishball noodles everywhere, but what’s hard is to find one that serves really good fishball noodles, or at least in my very own definition. To be honest, I have not really found one that could leave a lasting impression to the extent of making me crave for it in the middle of the night (that would be a really really good one, which I would not mind if I found it wherever it is in the world). Hong Kong is to me, a great place to escape to for a short break. I know, it sounds crazy, that I am running away from a hectic city to another far more bustling and chaotic and yet I call it an escapade. Read this and you will know why. 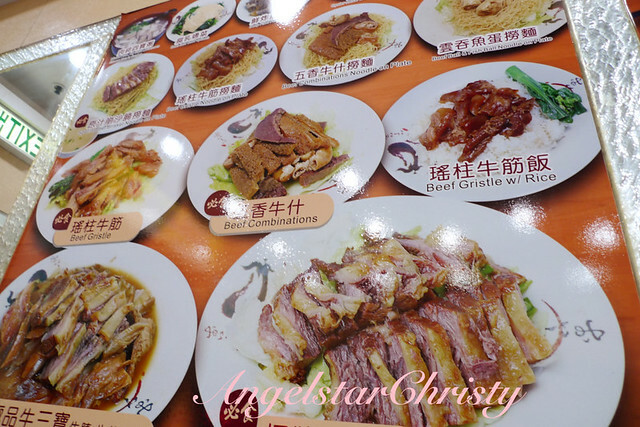 Food is abundance in Hong Kong, and given my limitations and picky demeanor, I was pleased that there were not much hurdle in looking for something that fits the bill, or rather, my bill though to find a really good one is a different story altogether. Chiu Hing Fishball Rice Noodle (潮興魚蛋粉), located in Wan Chai, is a classic example of serendipity for me as I stumbled upon it while in search for lunch after traipsing the streets for the whole morning. (My hubby would typically insists on finding a place where there is something to fit my picky palates and needs). 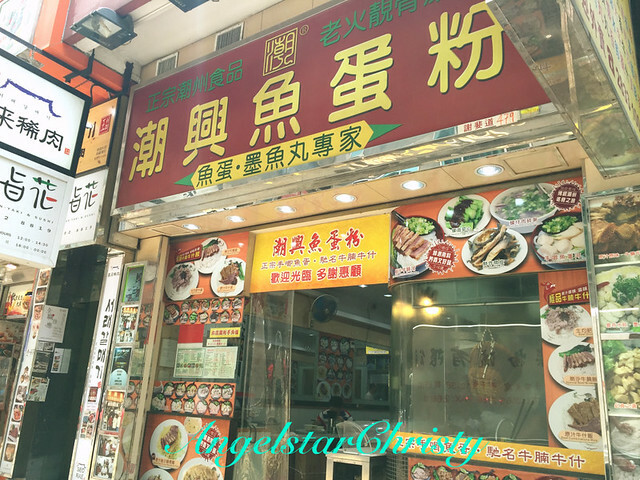 It was quite crowded everywhere else and we needed a place to just sit down for a quick stop and at the same time fill our stomachs, and Chiu Hing with its beckoning entrance and a friendly boss, just fits the bill. 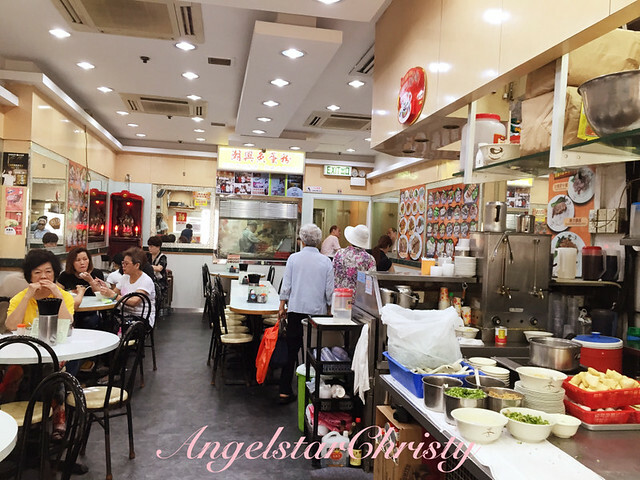 It was less crowded than all the fast food chain restaurants out there; the typical Char Chan Teng in Hong Kong especially during the peak lunch hour, filled with the locals working or shopping in the area and of course tourists like us. The tone in Chiu Hing was less hectic and was a warm welcome stepping into the privacy of its quiet interior with soft breeze from their air-conditioning from the hot sun outside. It is just like the typical neighborhood eatery we see in the usual shots in the Hong Kong TVB drama, easily told from the friendliness of the workers, hobnobbing with some of the customers whom I presume are regulars. The scene in Chiu Hing was just like one taken straight out of a family album, and one could easily warm up immediately and blend in with the cosy environment. 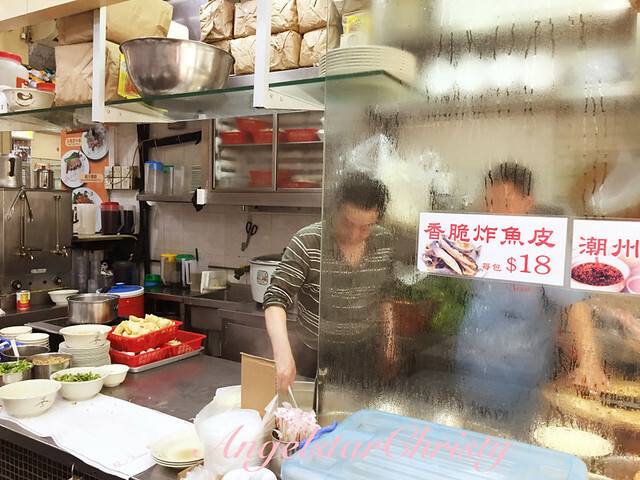 Serving Teochew (Chiu Chow in Cantonese) style handmade fish noodles, Chiu Hing is your typical neighborhood to go to for a quick meal of noodles. Most of the menus in the local neighborhood restaurants/cafes in Hong Kong are printed in Chinese texts, by default, but most of them do come with English translations in the descriptions as well (not all though, so it is a good practice to bring along someone who knows to read Chinese or just simply, a dictionary or Google Translate). The menu in Chiu Hing is a simple, straight-forward and fuss-free one; plastered on the wall with images of the food (so you will not order the wrong item) and even in smaller printed cards standing on the table, and just to minimize the risks of one missing it, there is another Chinese menu on the table filled with the beverages/drinks for the customers to make their selection. They definitely have thought of everything. When you walk into a place called Fishball rice noodle shop, of course you can’t leave the shop without ordering one. It would be rude and insensitive, I should say, and throw in a fishball fan like me, the court would be pleased as I could not wait to try out the bowl of fishball rice noodle right away. Chiu Hing’s Fishball Rice Noodle, is the signature of it all, and it is something one should not miss when coming to this place. If you are thinking of just fishballs with rice noodles, then you are wrong, for the rice noodle for this signature bowl is that the rice noodle is made with the fishballs itself. This is truly something unique, and while it may be new for most, I have tried this once, in Penang in an old coffee shop in Pulau Tikus and that had me craving for it since then. 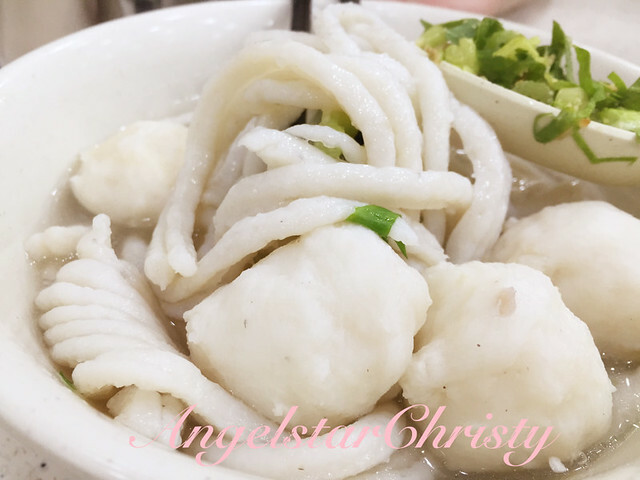 I have never come across anything like that since until this bowl of Chiu Hing just plopped itself right in front of me, and brought back all the fond memories of the swooning tastes from that rich bouncy texture of a fishball noodle. Better still, Chiu Hing has simply outdone the other version I have tried, and it is like a dream come true for a fishball fan like me to enjoy a whole bowl of pure fishballs. 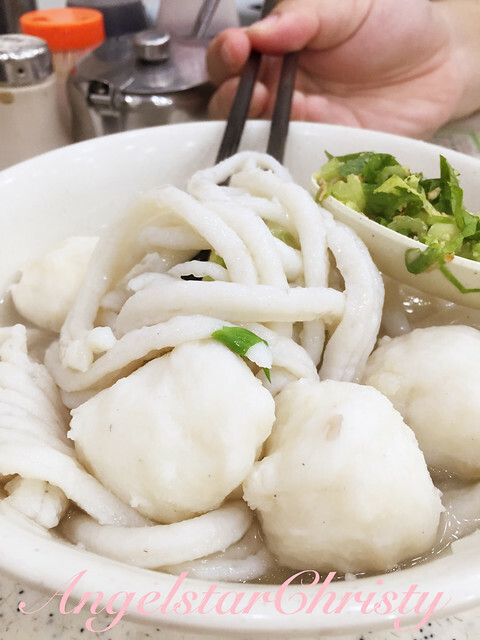 Though the name says Fishball rice noodle, really, the noodles were basically fishballs made into strips to resemble noodles and it is just a blessed find for fishball fans. To top it all off, it was made purely by hand which could result in inconsistent texture but that is the winning part for handmade noodles are always far superior than those made with machine. No question asked, at least that is my very personal point of view. Nothing beats handmade stuffs; there is just that sentiment about hard labor and passion that goes into it. Another specialty of Chiu Hing is the broth which is made with fish as well, giving it that naturally light yet savory fishy flavor to enhance the combination of tastes with the fishballs and the noodles. 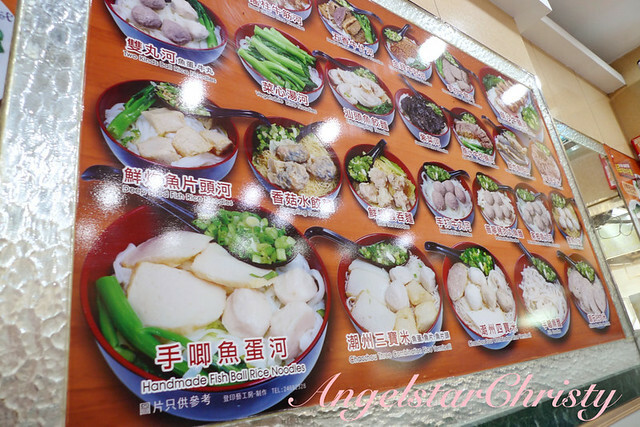 One can customize their fishball noodles; with choice of noodles (hor fun or flat silky smooth rice noodles – recommended, egg noodles), dry or with soup, and a selection to add from fishballs, meatballs and cuttlefish balls. My personal favorite is the cuttlefish balls; nothing beats the cuttlefish balls here in Hong Kong (and even in Taiwan) as their texture are just filled to the brim with the dense paste made with the cuttlefish and is just simply irresistible with that familiar cuttlefish smell. My fishball rice noodles with additional Fishballs and cuttlefish balls (HKD$45) - it is indulgence in the afternoon. Wanton noodles is also another local favorite and is almost one of the native food in this city. 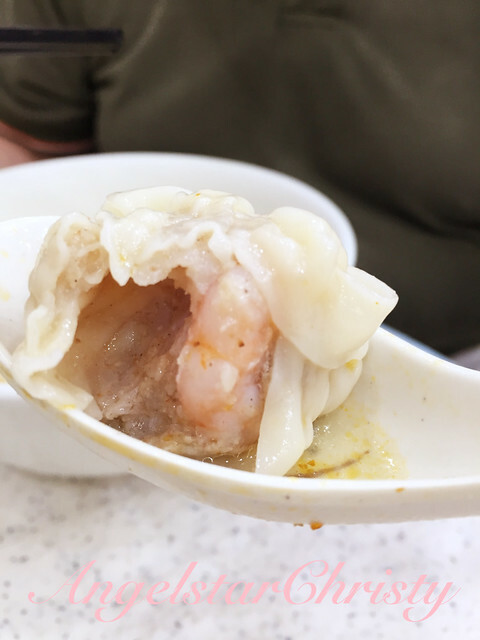 Chiu Hing’s take on this classic local favorite was a modest one with light springy handmade egg noodles laden with wanton (dumplings pinched to form a dome-like shape typically filled with minced pork and prawns). It is an option for those not so big on fishballs and just wanted to enjoy something else besides the fish and cuttlefish-invaded selection. Besides fishballs noodles and wanton noodles, Chiu Hing also serves a variety of meat (chicken, beef, pork) rice dishes and in a nutshell, it is not just purely fishballs in this shop and non-fishball lovers do not even need to stay away from this shop for fear of nothing to satisfy their appetites. 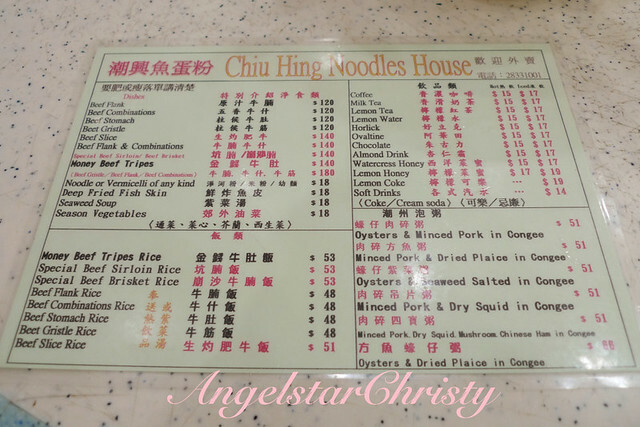 However, Chiu Hing is definitely the household name for their very own signature creation of the fishball rice noodles, their flavorful fish broth and the bouncy fishballs and as a bonus, the crunchy cuttlefishballs. One simply could not walk away from this shop without trying anything from their fishballs with noodles selection. It is just pure injustice. I have also noticed that they have a few other outlets elsewhere; and they are a chain of restaurants which have since expanded, for obvious good reasons too. 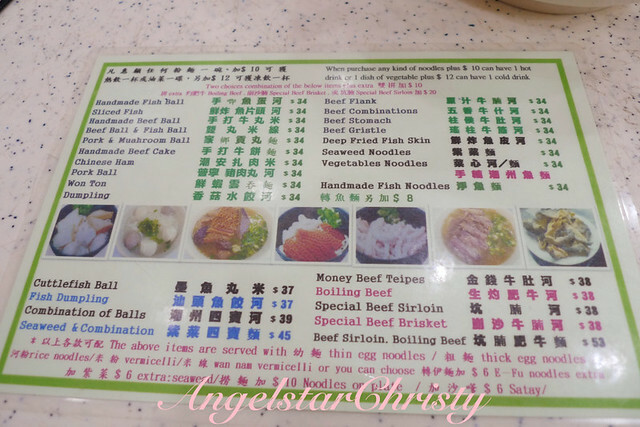 Prices average from HKD$34-37 for a bowl of noodles, with additional charges for extra sides. It may not be prices as we can expect for a bowl of noodles back here in our own backyard and can be slightly on the steeper side. Though we are often told not to do any direct conversion from the prices to our local currency, one still could not help doing it at the back of the mind while traveling, can't we? After all, we are still earning our means in our local currency. Well, perhaps it is also good advice to just relax and enjoy while traveling. After all, it's not every day you spend in a foreign country, right? In case you need more convincing, they are on the list of the Top 10 Fishball Restaurants in Hong Kong featured by HK magazine. 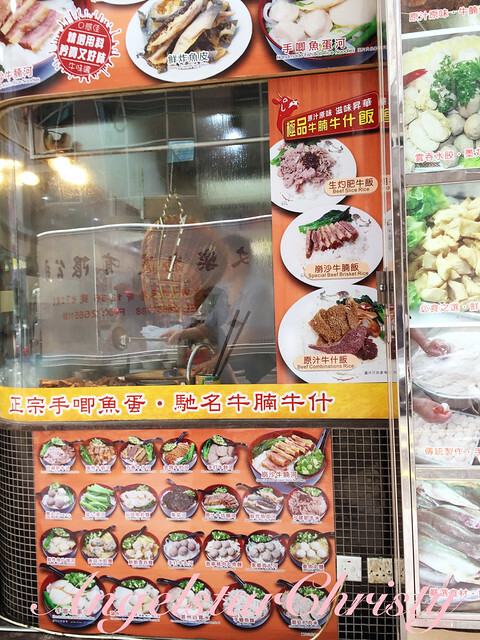 It was by chance I found this place, but now by choice I am bookmarking it as places to go to whenever I am in Hong Kong, and I am not leaving without a bowl of fishball rice noodles. To Follow more of my posts and stories, check out the following of my accounts!